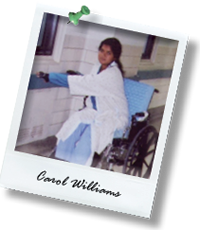 Carol is disabled with Gulf War illness and home bound 80% of the time. A mother of two children, she currently lives in Macon, Georgia with her husband Stanley. "He has never been in the military but he says he sees combat everyday since he's been taking care of me." Denise has been a tireless veterans advocate on the frontlines of Gulf War issues since the early 1990s. She's testified before Congress and pushed for continued medical research on Gulf War illnesses. A retired Air Force Flight nurse with a Masters degree, she served in the Vietnam era and during 1991's Operation Desert Storm. "It's a twenty year war so far, I ask how much longer?" Denise lives in Denver, CO.
Venus has been a Gulf War veterans advocate for twenty years representing sick veterans interests before Congress and the Veterans Administration. She served in the military for 24 years during the Vietnam era and 1991's Gulf War. "During the war, they were given shots and pills without their consent; in research trials at least they give written consent to be guinea pigs." Venus lives in Lowell, MA. 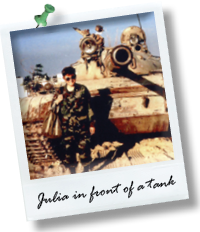 Julia served over 30 years in the military. In Vietnam, she was a nurse aboard the USS Sanctuary, a hospital ship. 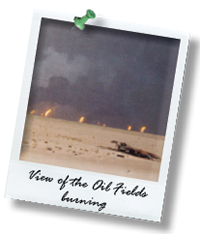 For the past twenty years, she's testified before Congress and the Institute of Medicine on behalf of other sick Gulf War veterans. 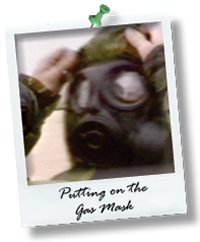 "We Gulf War veterans need to improve our quality of life even if we never get totally better." Julia lives in Harrisburg, PA.
Rose grew up in a military family and served 21 years from the Vietnam era until 1991's Gulf War. She has helped other veterans as a member of the Rhode Island Veterans Food Bank and Women's Memorial Committee. Although she suffers from PTSD, "When 9/11 hit I wanted to go back to war but because of my mental and physical state I was told I couldn't." Rose lives in Rhode Island. Vanessa is a Gulf War veteran who served 8 years on active duty in the U.S. Marine Corps. 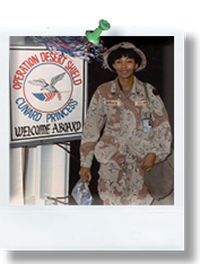 When she came home from Operation Desert Storm, she became a counselor for homeless veterans at the Veterans Resource Center, sponsored by the Black Veterans For Social Justice, Brooklyn, NY. Brenda served in the military for 12 years as a Motor Transport Operator. She has been involved with veterans groups and concerns in Rhode Island, including DAV, VFW and service on the Advisory Council for the Veterans Affairs Committee, Rhode Island House, despite her disabilities from the Gulf War. Shary was a supply and chemical specialist in the Army where she served for 19 years. She lives in North Carolina. Maureen supervised 2,000 nurses during Operation Desert Storm. As the Providence Journal wrote, "By the time she came home she'd earned a Bronze Star and the respect of the Saudi military." The colonel serves as an advocate for female veterans in her home state, Rhode Island.